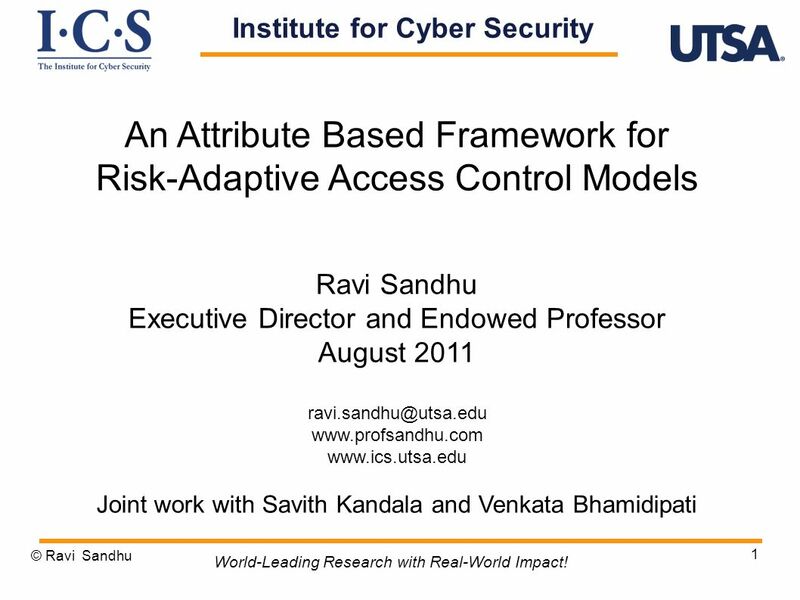 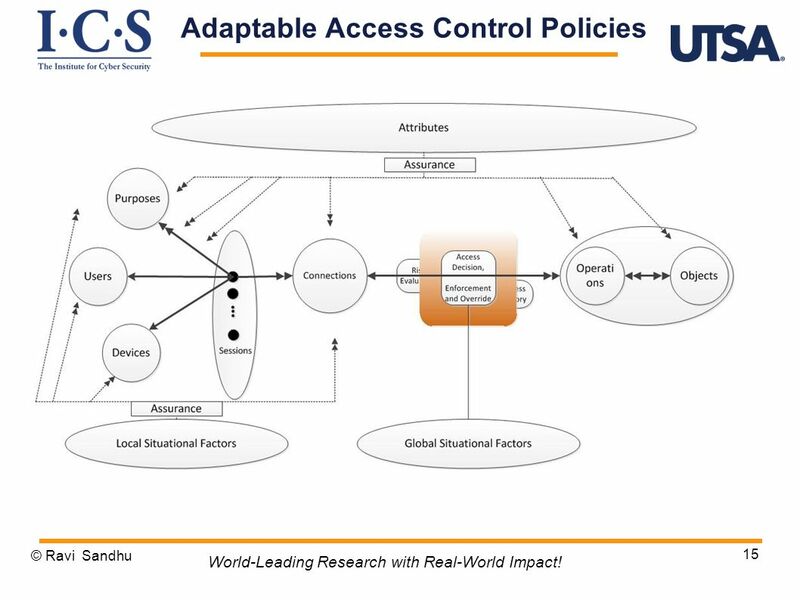 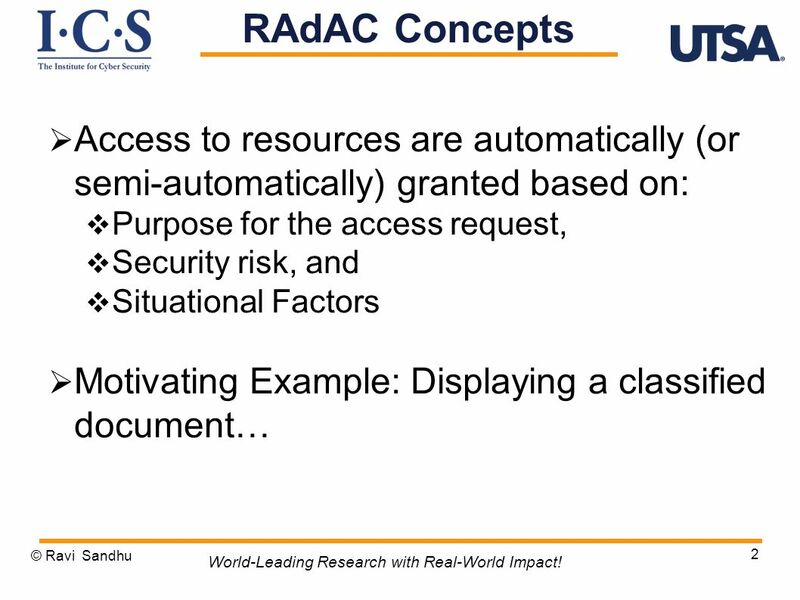 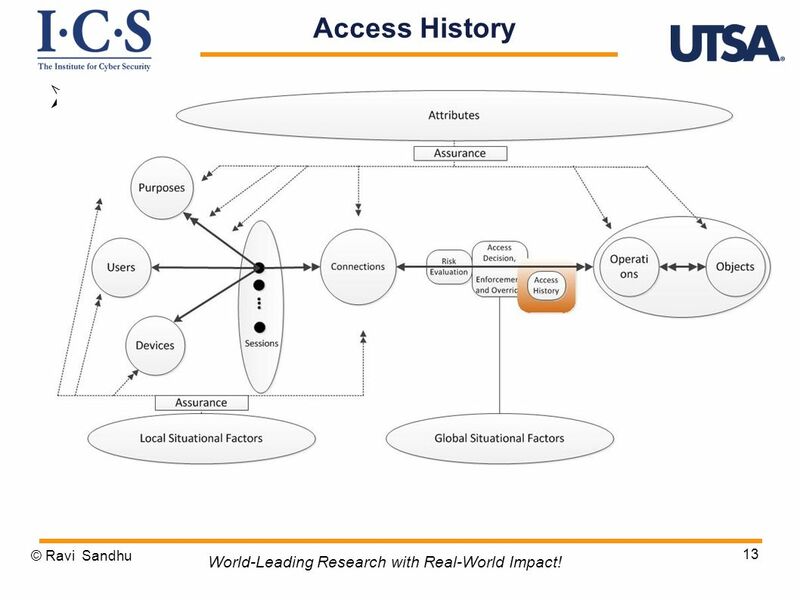 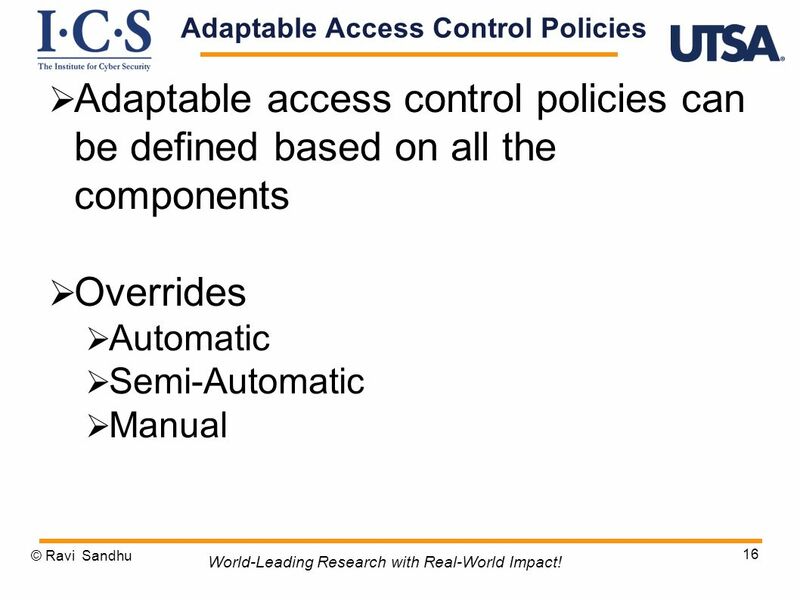 An Attribute Based Framework for Risk-Adaptive Access Control Models Ravi Sandhu Executive Director and Endowed Professor August 2011 Joint work with Savith Kandala and Venkata Bhamidipati © Ravi Sandhu World-Leading Research with Real-World Impact! 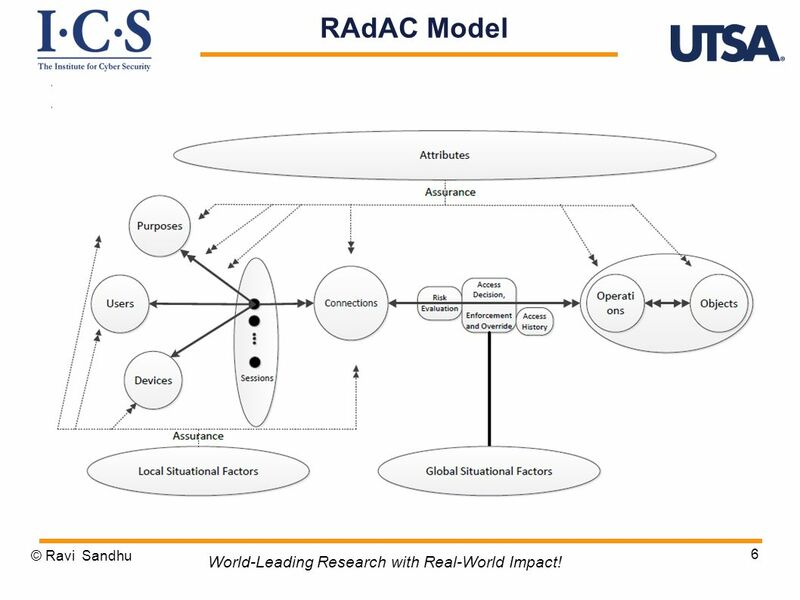 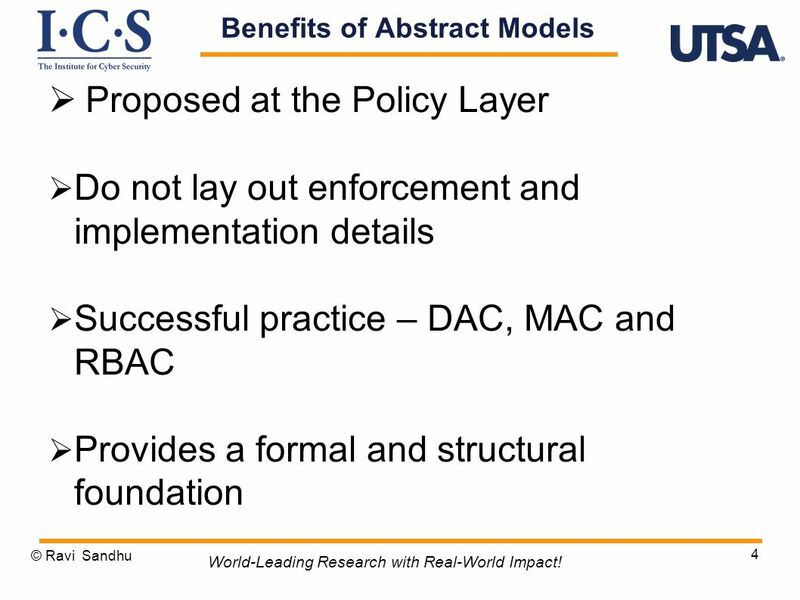 6 RAdAC Model World-Leading Research with Real-World Impact! 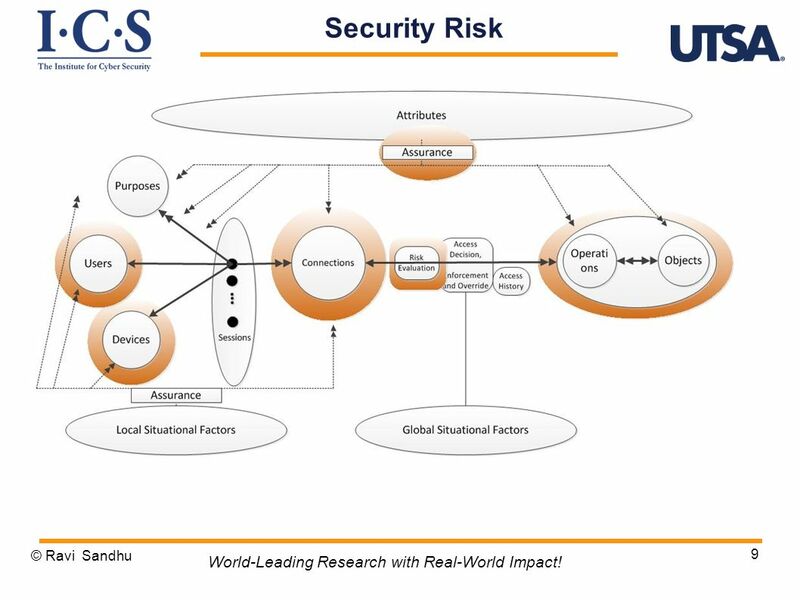 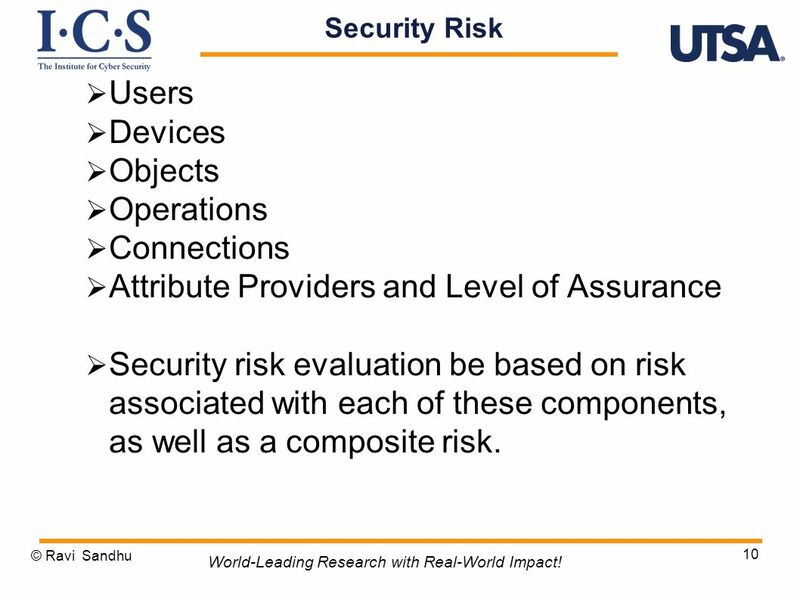 9 Security Risk World-Leading Research with Real-World Impact! 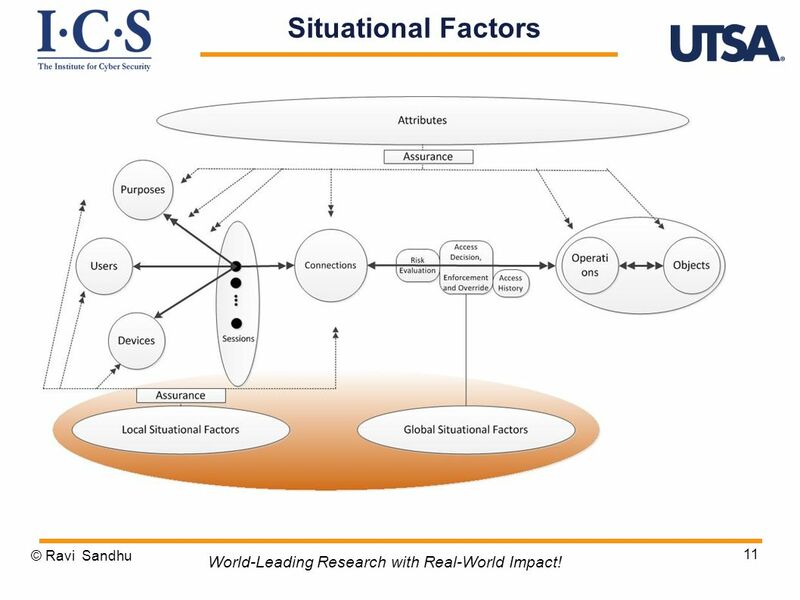 11 Situational Factors World-Leading Research with Real-World Impact! 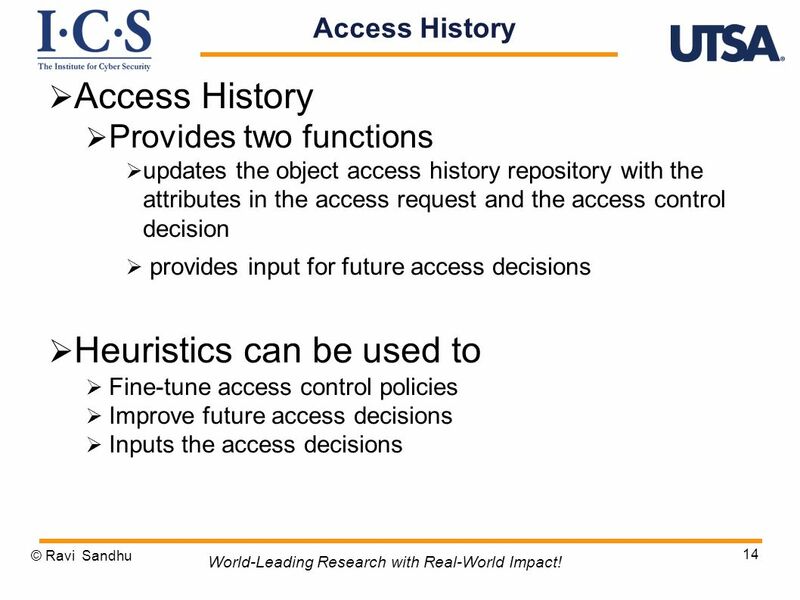 13 Access History World-Leading Research with Real-World Impact! 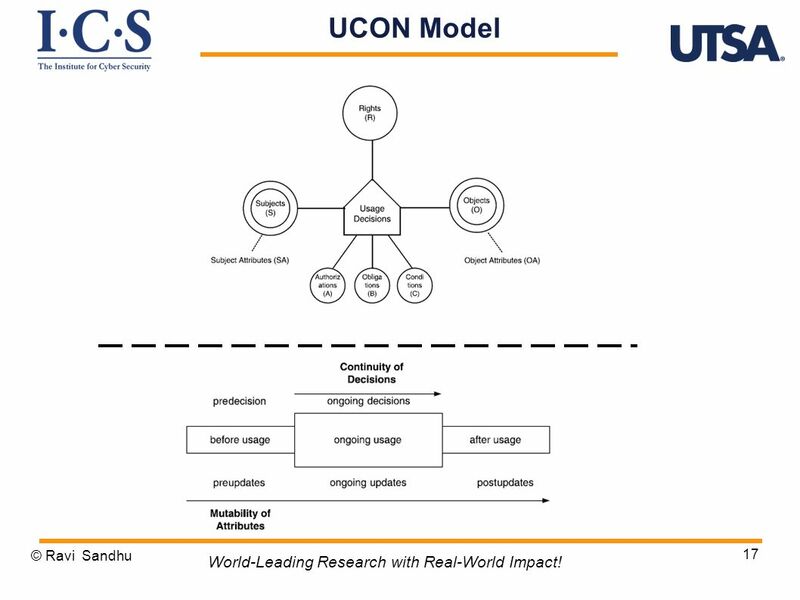 17 UCON Model World-Leading Research with Real-World Impact! 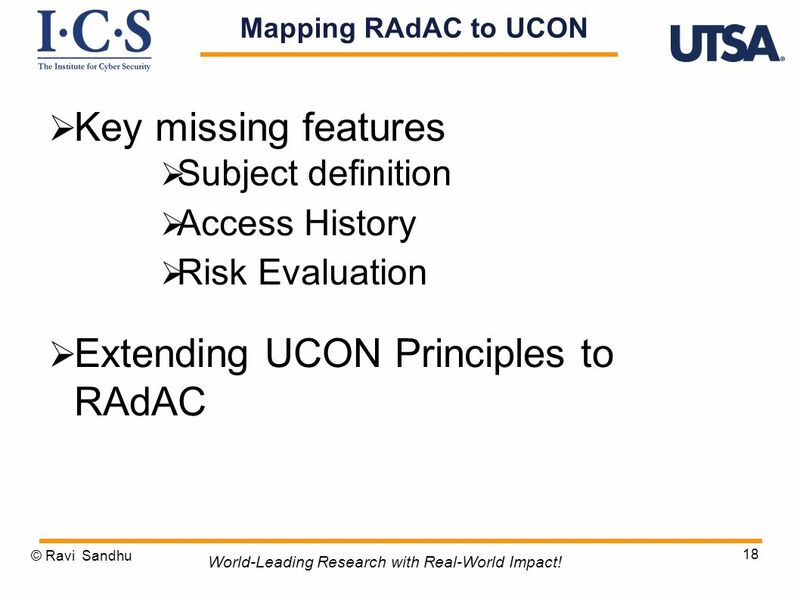 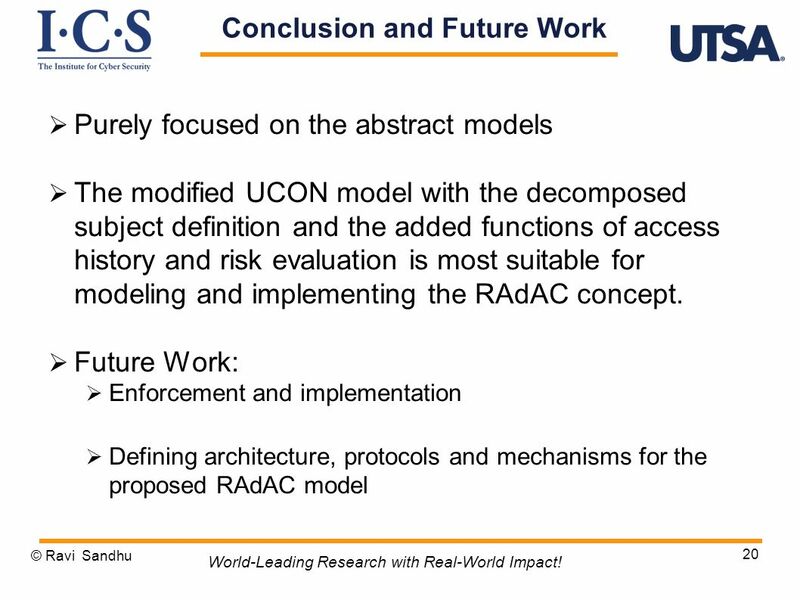 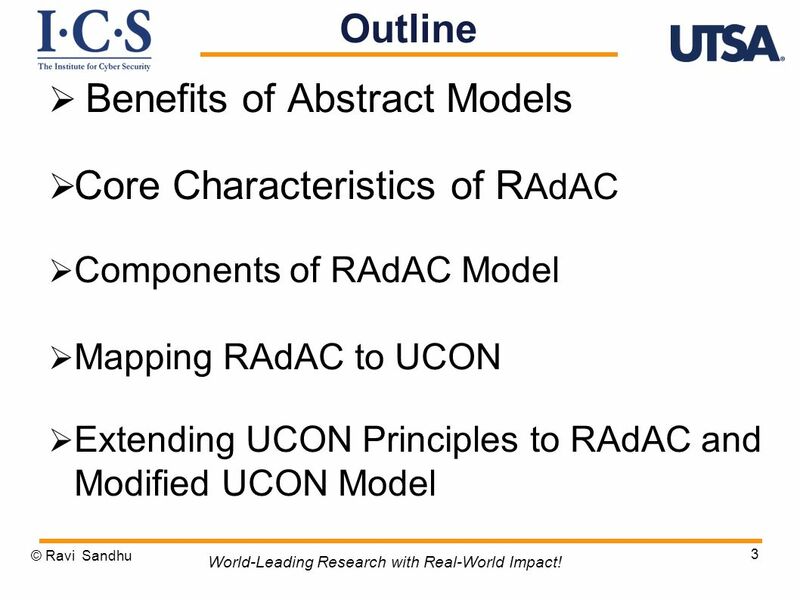 19 Modified UCON Model World-Leading Research with Real-World Impact! 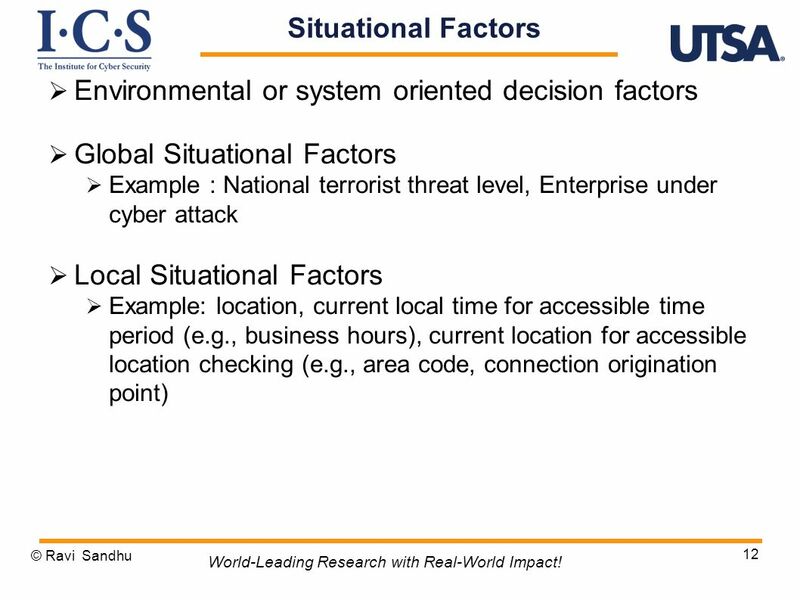 Download ppt "Institute for Cyber Security"
Art Foundations Exam 1.What are the Elements of Art? 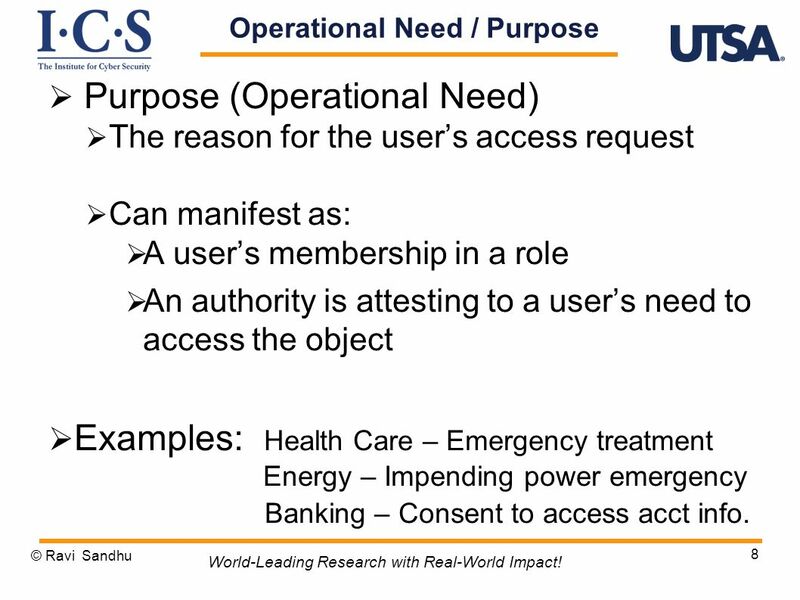 List & write a COMPLETE definition; you may supplement your written definition with Illustrations. 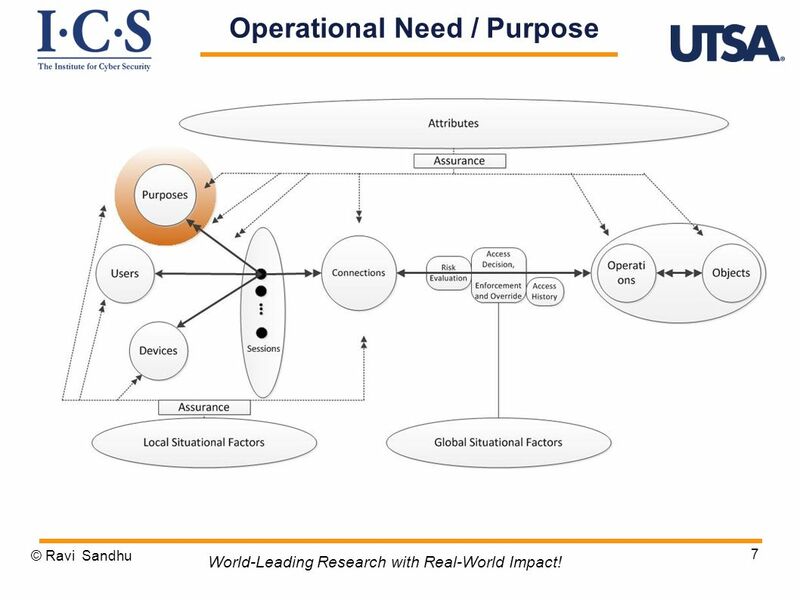 INSTITUTE FOR CYBER SECURITY 1 The PEI Framework for Application-Centric Security Prof. Ravi Sandhu Executive Director and Endowed Chair Institute for.